Welding Rotators are probably the most versatile and usefull positioning equipment in a fabrication shop . They are mainly used to rotate or position the cylindrical jobs for circumferential welding (TIG / MIG / Sub Arc) . The machine consists of a Drive unit and Idler unit which can be one or more and Control panel with pendant. AC geared motors with variable frequency drive is used for stepless speed variation . 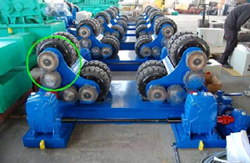 The rollers are made of Steel or moulded with polyurethane as per the job requirement. Medium and Heavy duty application like API Pipes, Storage tank, Pressure vessel, Bullets, Condensers, Barrels, Heat exchanger etc. Suitable for TIG, MIG, MAG, Plasma welding. 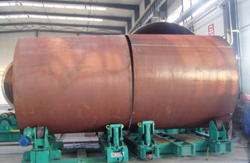 Also for SAW, Strip cladding and PTA welding. Multi-application like Radiography or UT testing, Finishing, Inspection, Assembling, Cutting etc. 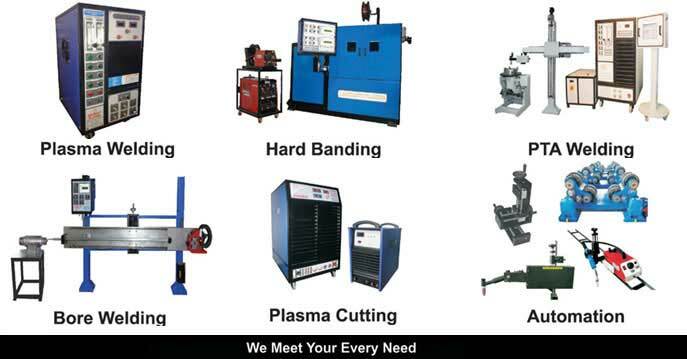 Plasma Powder welding machines (PTA), Hardbanding machines, Column and Boom, Welding positioners and Rotators, Plasma torches & consumables - Welding Inverters, Plasma Cutting Machines, Micro-Tig Welding Machines, Micro Plasma Welding Machines, AC Welding Machines, Mig welding Machines, Shape Cutting Machines, Special Purpose Machines for hardfacing and cladding.